Beautiful hair is the asset of any one maybe a male or female.To maintain them one should be careful starting from minor details. 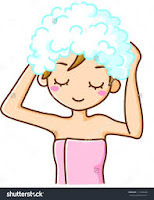 Massage your scalp:before shampooing always give a oil massage to your scalp.This improves your blood circulation as well as makes hair strong.Oil preferrably coconut oil ,olive oil,almond oil or mustard oil is good for hair.Always apply oil in warm state.This also prevents occurence of dandruff. Shampooing:Nobody can tell the no.of times one need to shampoo.It depends on your routine,texture of your hair and when your hair feels dirty.The point is that one should keep hair clean.The type of shampoo should depend on the hair type .When one changes the shampoo the adaptability is known after 3 washes. Rinsing:Best way to rinse your hair is with vinegar or lemon juice diluted with water.This eliminates the need of using a conditioner as well as brings bounce to hair. 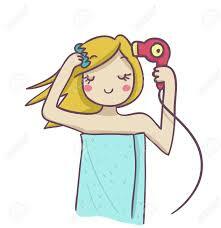 Washing:Your hair should always be washed in mild warm water.Washing in hot water makes them dry and grey. Drying:Always dry hair naturally and never use blow dryers until and unless it is urgent.Blow drying makes hair rough and dry.Never comb on wet hair and never tie wet or moist hair.This can lead to hair diseases. Diet , age ,stress,work activity and many other factors play an important roll on hair growth andtexture.So stay happy , exercise and release stress! Nice article about hair loss. I really found your articles informative and beneficial. Avoid shampoos contains sodium sulphate use a medicated shampoo while shampooing. Hi, very informative post & thanks for sharing. I will definitely follow your tips. I would like read more on Hair care products which will cause our hair growth.